At least that is what scientists are beginning to suggest with some of their latest inventions. Many people across the world have wished for Sci-Fi technology to become a reality, lightsabers, hover boots maybe even a sonic screwdriver. The last item on the list is seemingly one step closer to reality thanks to researchers at Dundee University. In our previous articles we have noted that the area of ultrasound is one of the fastest growing in the world as more people not only realize the potential currently, but also understand the advancements in the area that can be made. First announced in a press release it may be a bit of poetic license to try and call it a sonic screwdriver, however the potential for this technology is just as exciting and does provide evidence for the future creation of such a device even though this is currently just in the prototype design stages. The basic equipment came from a MRI-guided focused ultrasound surgery machine and was repurposed so it can lift and spin a free floating 10 cm diameter rubber disk with a focused ultrasound beam. From my point of view it is the last part of this quote which holds most significance, imagine being able to control an object inside a person’s body and the possible applications ultrasound technicians could use this for. Send a drug directly through a person’s body laser targeted right to where it can be of the most benefit or perhaps even sending small cameras through a patient’s body to aid diagnosis without needing exploratory surgery. When I first heard about this story I assumed they used the ultrasound based on a similar principle to that of 3D ultrasound albeit amplified in strength. However the ultrasound is actually focused into a beam utilizing a ‘double-helix’ structure which is the 2 bar twisting structure of our DNA. 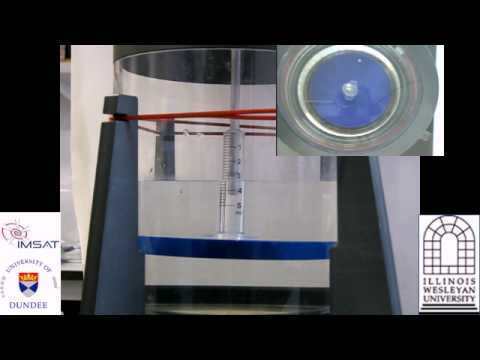 They have also demonstrated that by twisting many of these double-helix beams into 1 singular focused beam it has enough power behind it to lift and spin a 90g disk which had been placed in water (video below). This technology was developed as part of a UK-wide Engineering and Physical Sciences Research Council (EPSRC) project as well as being funded through part of an EU Nanoporation project. Here at modern ultrasound technician we are interested in what our readers think, do you think research such as this is as important as we do? Do you believe that this technology could have entertainment or commercial uses besides its perceived medical applications? Perhaps this could be used to give us our much loved hover boards or bring to life the next generation of thrill seeking rollercoaster rides? If you have other ideas let us know in the comments below! If you found this article interesting or helpful please help other people find it and like us on Facebook, Google +1, Tweet, digg, stumble and at any other bright light of the internet you frequent.